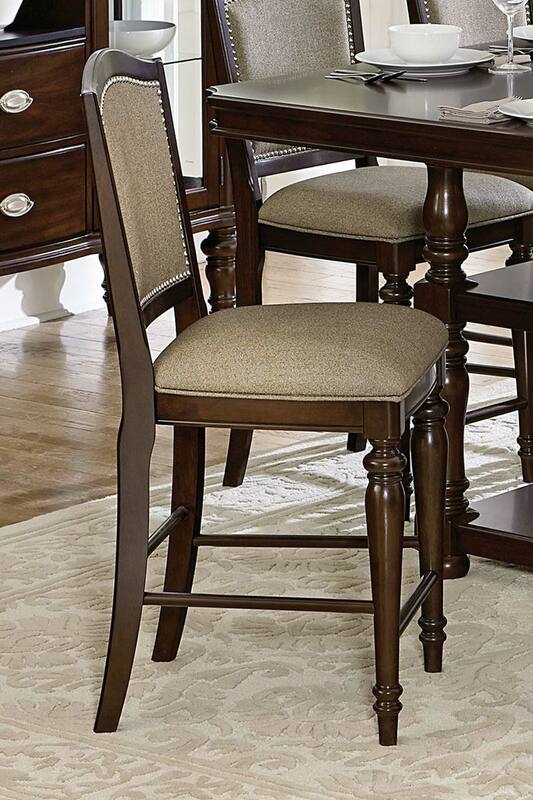 54"W x 54"D x 36"
Refined elegance is exemplified in the design of the Marston Collection. 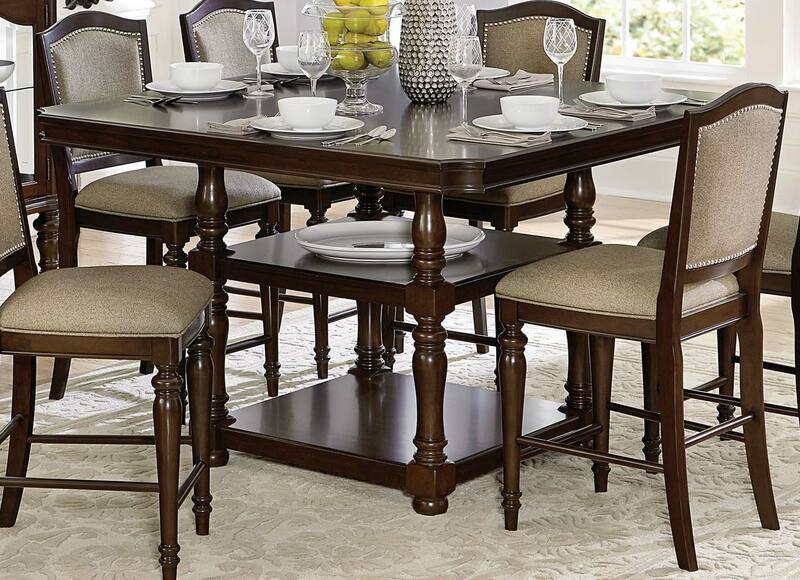 With three available table options, there is a perfect match for your home – a double pedestal base rises to support the clipped-corner rectangular tabletop of the 96-inch table, the oval topped pedestal table, and the counter height display base table – are each flanked by chairs that feature turned front legs and nail head accent, along with a neutral tone fabric that covers the seats and backs. In support of the collection are the functional china and server. Featuring drawer and door storage, each with oval bale pull and knob hardware, you can be assured of plentiful space in which to stow or display your tabletop décor. The server also features a black melamine laminated top.